I have heard David Platt preach in person and had the privilege to sit in to listen to a panel discussion with his wife at a pastor’s conference. They both are passionate about their walk with Christ. 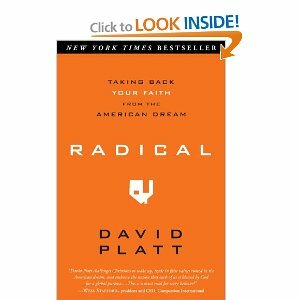 It won’t take you very many pages into this book to realize the majority of believers today have had their faith “Americanized” into something other than a sold-out following of Jesus Christ. Read it with an open heart and mind and expect to be challenged and changed.